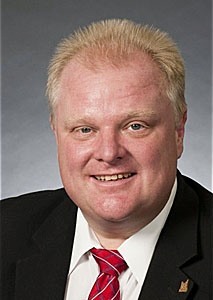 By now, the whole world knows the infamous Rob Ford who is the 64th Mayor of Toronto, Ontario, Canada. Mayor Ford’s recent notoriety has much to do with his public admittance of using crack cocaine several weeks ago while in office after months of denying allegations. Mayor Ford told reporters that he smoked crack cocaine about a years ago “probably in one of my drunken stupors, probably approximately about a year ago” (Toronto Star). His confession followed by an apology sparked an instant reaction on social media sites with more than 1.5 million mentions about Rob Ford—1.4 million tweets and more than 16,000 videos mentioning Ford were uploaded to sites like YouTube and Vimeo (Marketwired). Just about every country was weighing in on the scandal and people from Botswana, Qatar, Turkmenistan, Yemen and Chile were expressing their thoughts on social media sites (CityTV News). Down in the U.S., as if they did not have problems of their own, they cracked jokes about the mayor on talk shows like Real Time With Bill Maher. On November 12, 2013 Bill Maher tweeted, “I see Ford Motor Co. has asked #RobFord not to use their logo anymore on his t-shirts. And Coke said, “Don’t even think about it.” On late night TV show, Jimmy Kimmel Live!, Kimmel did a 22-minute spoof that poked fun at Mayor Ford’s heroin claims. In his opening monologue Kimmel said, “Gang members were caught on wiretap saying they have photos of Mayor Ford doing heroin, which is weird because I thought he had an exclusive deal with crack” (National Post). Jay Leno told a banal joke saying, “Did you hear the mayor’s excuse? Pretty flimsy. He said it was medical crack, for his crack-auma.” SNL impersonated Mayor Ford’s erratic behavior in an opening skit that parodied the mayor’s repeated public apologies for smoking crack, buying illegal drugs, driving after drinking and using vulgar language on live TV (CBC). The list of mediocre jokes goes on at the Mayor’s expense. On the flip side, there are a good number of people who believe that, though Ford might have made a few mistakes in the past and has displayed patterns of inappropriate conduct, since he took office three years ago and despite his busy Council agenda he made fiscal conservatism one of his main priorities. “No one has a bigger heart than I do when it comes to helping people out,” said Ford. “But when it comes to spending tax payers’ dollars, I’ll watch every dime” (sagennext.com). Although Mayor Ford has been stripped of his key powers as mayor of Toronto by motions that were passed 41-2 and 39-3 at council’s meeting leaving Ford as mayor in name only (CBC) and polls show that most Torontonians want Ford to step down, there are still many Ford supporters. Torontonians may never agree on this widespread issue of whether Ford should or should not stay in office, but one thing is for sure, Mayor Ford has shown no signs of slowing down or stepping down anytime soon. He has said he will run for re-election next year and he wants to become Prime Minster of Canada. Be warned: don’t be surprised if this does happen, you never know what else the notorious Rob Ford has up his sleeves.